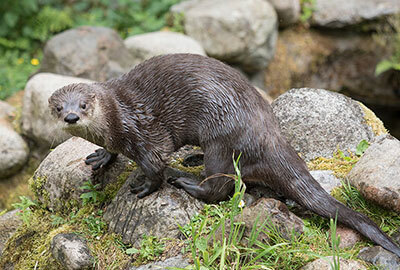 It is with great sadness that we announce the loss of much loved otter, Lewis. 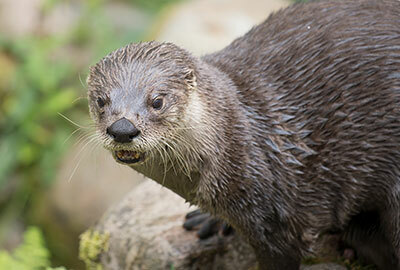 In the wild otters usually live for 10 years, however, Lewis was 13 years old and remained active and fun with a mischievous personality throughout his time in the Sanctuary. Unfortunately Lewis passed away on 22nd July 2018 due to a degenerative condition caused by arthritis. 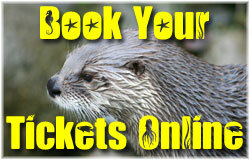 Lewis arrived at the Sanctuary in 2011 from a Zoo in Bristol and quickly became a favourite amongst the visitors. 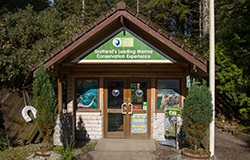 He will be sadly missed by visitors and all of the team who have known and cared for Lewis for the last seven years. 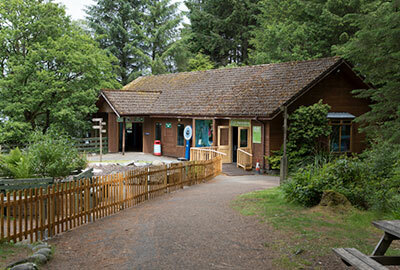 Just click on a photo below to see a larger version of the image of Lewis taken in June 2018. 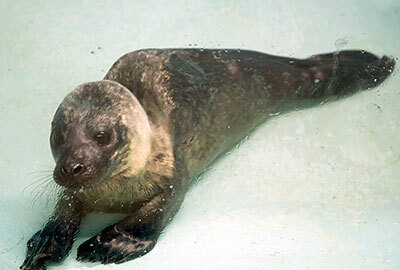 Rex, common seal pup, was rescued on 4th June 2018. He was found on a pile of discarded fishing nets on a beach on the Isle of Syke. 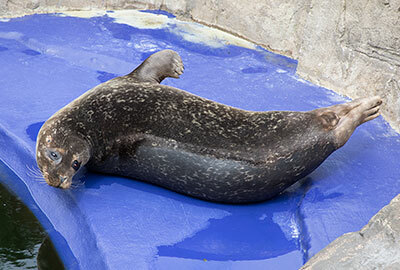 It was very clear that he had been born prematurely as he still had his baby fur and his umbilicus was intact. 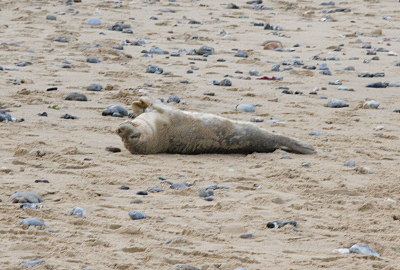 Common seals usually shed this fur in the womb and are born with their adult fur. 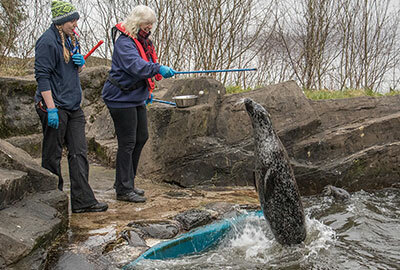 After a coordinated rescue effort he was brought to the seal hospital and immediately given fluids. The vet checked Rex over and gave him a clean bill of health. 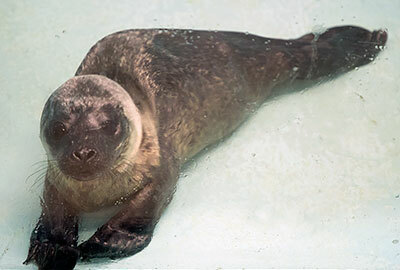 Apart from being skinny and weak, he will hopefully make a full recovery and be released back into the wild once he can fend for himself. Boo (photo left) celebrated his 4th birthday on 14th June 2018. Just click on a photo below to see a larger version of the image. 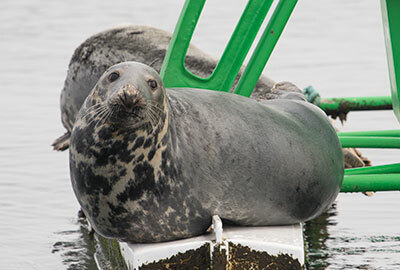 If you would like to see seals in the wild, one choice is to go and see the Incholm Seals from South Queensferry, we went out to have a look, you can book your trip via Forth Boat Tours or Maid of the Forth. 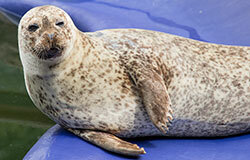 Click here to see a selection of photos of the seals near Incholm island via flickr. 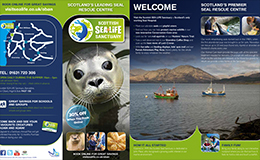 the Sanctuary will be open between 11am-5pm (with last entry at 4pm) Click here to download a printer friendly pdf version of the Sanctuary´s latest leaflet.